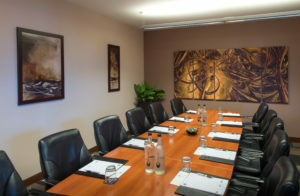 Do you need an executive boardroom style meeting space to impress key people? Our Executive Boardroom is contemporary, spacious and comfortable, providing the ideal working environment for high profile meetings. 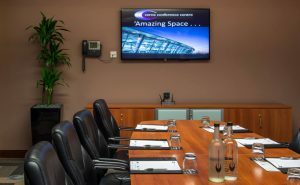 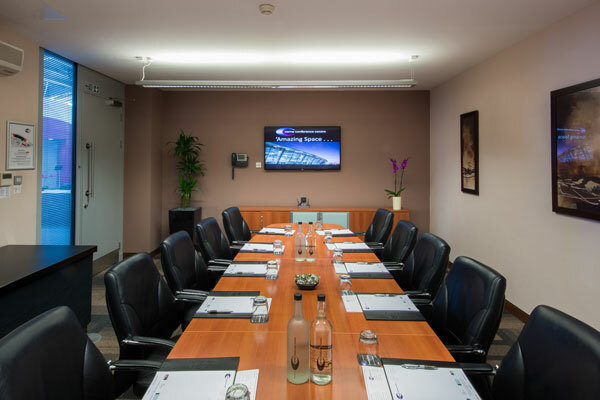 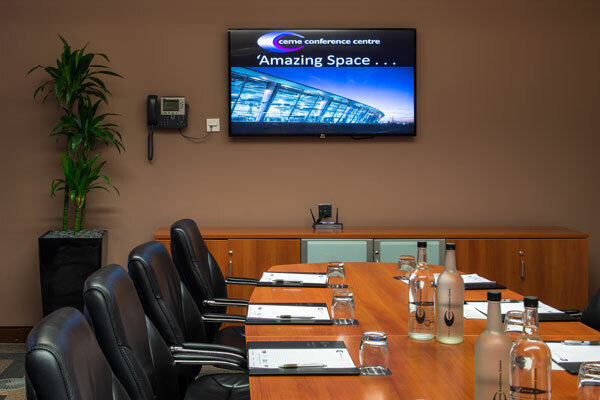 The room seats up to 12 delegates and is equipped with the latest in meetings technology including a plasma screen, in-built PC, to ensure your presentations pack a professional punch. 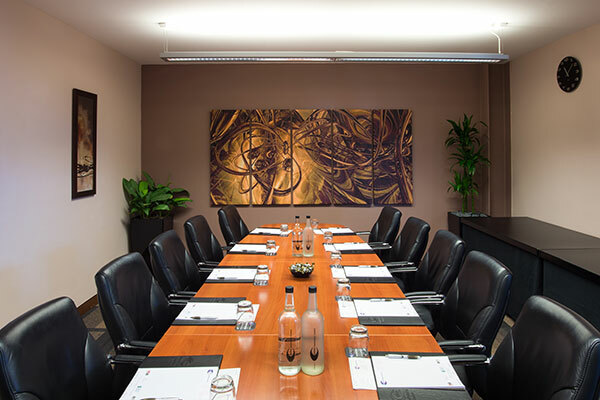 We only serve Fair Trade, fresh-roast coffee and a selection of Pure’s Finest Teas throughout the Centre, assuring you of the finest quality beverage selection.